These ideas are inspired by the session “Tackling the Turbo Bully on Your Board” at the ASAE Annual Meeting on August 10, 2014, presented by Mark Alcorn, Sandra Giarde, and Jamie Notter. We all have a pretty good idea of what a bully looks like on the playground, but what does it look like when you have a “bully” on the board? A bully is not someone who simply asks questions or occasionally offers a “contrary” opinion. (It’s very valuable to have people on the board who have the courage to say “no!”) A board bully uses intimidation to silence ideas, ignores the bylaws and policies, is self-focused rather than keeping the needs of the association in mind, and undermines the board decisions. So, what do you do when you have a bully on the board? Make sure the board is very clear on the mission so it becomes obvious when a bully starts to take everyone off course. Make sure the board volunteers have a strong sense of their voice. Yearly board training is essential for old and new volunteers to be well aware of the bylaws, policies, chain of command, and their legal duties. New volunteers will follow the old and experienced board members. Make sure you have job descriptions, conflict of interest policies, and antitrust statements in place. Develop a sample policy of misconduct and how a member of the board of directors can be removed. The nominating committee should identify bullying behaviors before acceptance to the board. Ask the bully questions to understand why the behavior is happening. Move towards the conflict to achieve greater understanding instead of skirting around the issue. Early detection and intervention is essential so the issue doesn’t have a chance to grow. Keep behavior observable. 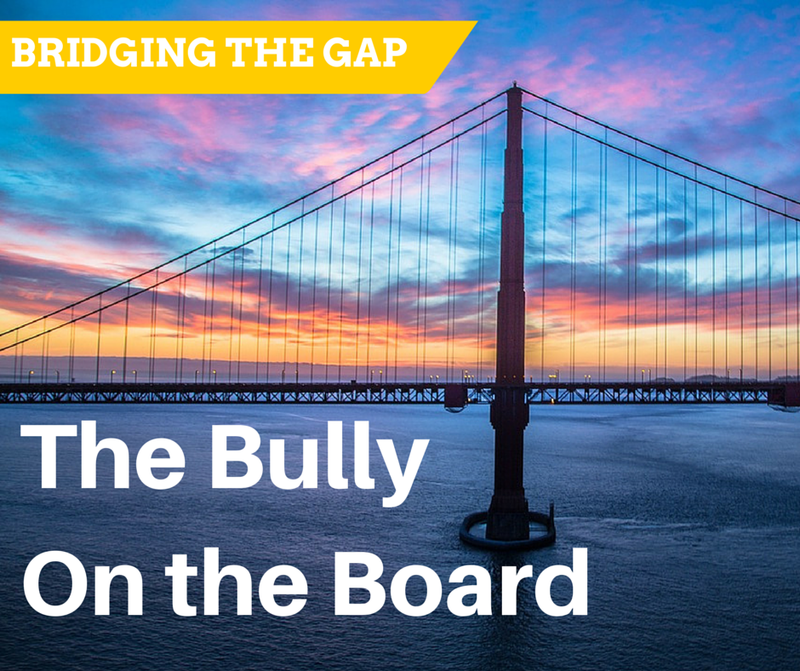 Remind the bully about the impact of their behavior on the board and on the association. Alert the board leaders responsible for discipline. There are also legal considerations so be sure to keep documentation. Consult legal counsel and other experts such as HR advisers and risk managers.